Anyone out there hearing voices tonight? 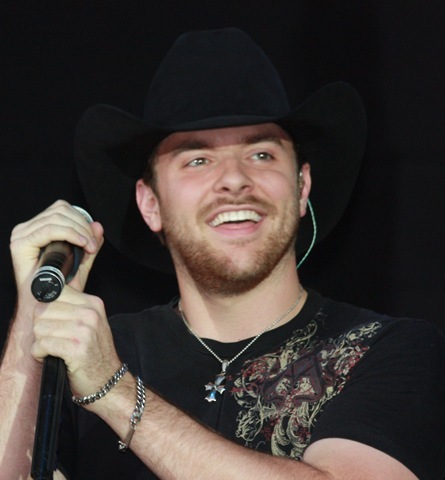 I just heard an awesome voice – and it belongs to Chris Young, tonight’s headliner at the Appalachian Fair in Gray. His new single, “Voices,” is working it’s way up the country charts. Any of you who don’t know why Chris Young won Nashville Star a few seasons ago, and any of you who didn’t know he has his second top 40 single, should have been at the fair tonight. When Chris stepped out on stage, everyone knew immediately who he is. what he’s done, and where he’s headed. You really have to give that boy a huge round of applause. Not only did he put on a great show, he gave us our fourth consecutive night of “this is how a country singer should treat their fans”. Even though Chris is leaving in the morning on his second annual Chris Young Country Cruise, he made time to sign autographs and pose for pictures with his fans after the show. Now, it would have been one thing if he were hopping on a waiting private jet and flying to the port for departure, but the man was riding in the bus… I’m not going to try to guess how long it takes to drive from Gray, Tenn. to New Orleans, La., but I sure do hope he got a lot of sleep during that ride. And, I’m sure he knows how much that extra time with the fans meant to all of them. It’s one thing to stand on stage and sing up a storm, it’s another to reach out and touch the people who came to watch your show. Thank you, Chris! On stage with Chris tonight, we had band members Shane Shelton, bass; Josh Carter, keyboard; Bo Hendrix, lead guitar; and Kevin Newberry, drums. They were all great, and they looked like the were having a great time, too! 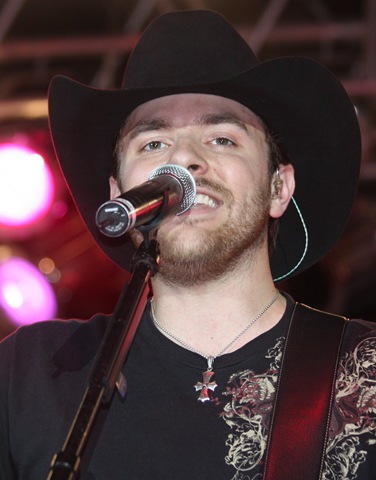 One of the songs Chris sang tonight was done quite a few years ago by the late Keith Whitley, “Don’t Close Your Eyes”. I loved that song, and Chris certainly did a fantastic job with it. Now, more photos from tonight’s show. That’ll wrap things up for this post to Country’s Chatter. I have a few e-mails to send out to fans of their photos with Chris, then I’m going to get some sleep and get ready for Jypsi at tomorrow night’s fair. Hard to believe the Appalachian Fair is coming to a close tomorrow night. But we do have Washington County Fair, Tennessee Valley Fair, Fletcher, N.C., and a few others not too far from here before “fair season” comes to an end for 2008. I’ve enjoyed meeting a lot of my readers at these concerts, and hope to see you guys again real soon. Please keep in touch. I love your e-mail. Hope you’ll tell your friends about my little “chatter” blog. And Chris, thanks – for a great show… Enjoy your cruise! 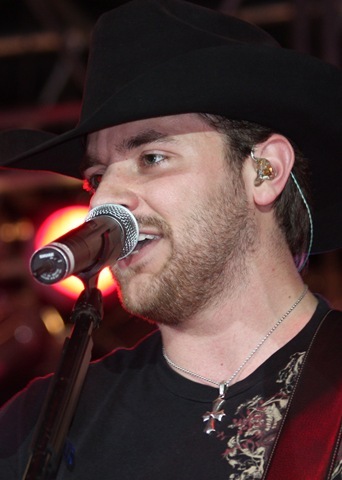 Thank you for the glowing review of Chris Young’s show! I’ve been following his career closely since he was about 15 years old and he has always been a truly class act! That voice could melt the polar caps and his sincere love for his fans touches every person who meets him. I’m proud to call him my friend and I hope everyone who reads this goes to his website and his MySpace to hear more! Thanks again! You don’t need to thank me for the “glowing review of Chris Young’s show”… I call them like I see them, and that was definitely a show worth raving about. I think he’s going to go a very, very long way in the world of country music. And Fay, He is such a nice person! I really enjoyed meeitng him. Thank you for your comment, and thanks for reading Country’s Chatter. Hope you’ll visit my blog often. It was so good to see you again! And I absoultey LOVE the review of Chris’ show! He’s quite an amazing artist! I’ve been following his career for quite some time! I just havent had the chance to make it to one of his shows! But I’m glad that I pulled a spur of the moment decision and made the trip down! He was an absolute sweetheart not to mention an amazing talent!! Thanks for all the great reviews! I love reading about them all!! I was there at the show (my 4th) and like always Chris was awesome. He tends to make all his fans feel special and even when he is in a hurry like then he still takes time for them. He is one outstanding young man with a voice that is absolutely amazing and a personality to match. Love your review. 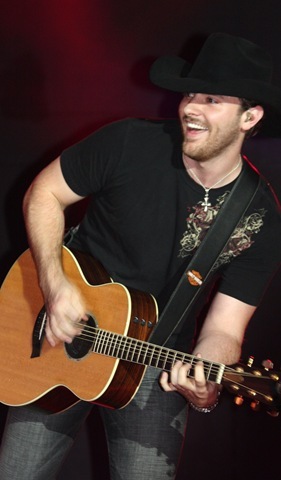 Thank you for the wonderful review of Chris Young’s show! I’ve been following him since Nashville Star and will continue to follow him. That guy is the whole awesome package, including treating his fans as a top priority!! I’ve lost count on how many shows I have been to, but each time I see him I have the same excitement as the first time. I’m also proud to call him a friend. I hope everyone who reads this goes to his website, his MySpace, and buys his new CD soon to be released. Thanks again! Glad you all enjoyed what I had to write about Chris Young’s show in Gray – I meant every word of it. I really appreciate you guys taking the time to leave the comment. I sure hope you’ll continue reading my chatter! Please check back often. And, as always, thanks for the comments. I appreciate you correcting the spelling of Shane’s last name for me. Is he still with Chris? 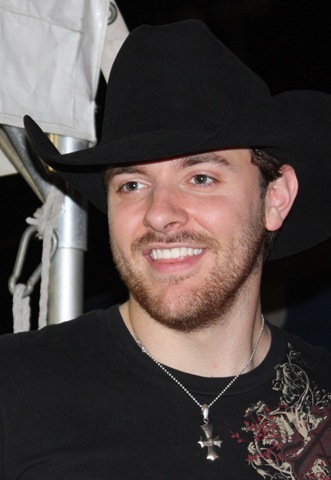 I will be seeing Chris Young again on Sept. 15, 2010, at the Washington County Fair in Abingdon, Va. Thanks so much for commenting, and thanks for reading! Yes Shane stills plays w/ Chris and Thank you for correcting his spelling. Randy is his uncle, his mom is Randy’s sister. I knew him since he was born. His whole family, he calls me Aunt Susie..LOL. Please tell Shane we Love and miss him and we are so proud of him. And to give us a call. He was at the Indiana State Fair but we missed him. Where are you? You answered my other question, I have not heard from you. Im sorry I was wondering where you were. We can call him ourselves. Any way you do have a nice site here. Have a nice day.